If you build it, we know they will come…. but if you challenge them? The morning of the first preview, I was confident the response of the eager young audience would prove those “too sophisticated” critics wrong… that is… until I saw 350 bundled bodies march through the lobby and take their seats. I don’t know why the rosey faces of Third Graders coming in from the Chicago cold made me begin to doubt everything I had created…. maybe it was the amount of sparkle shoes…. or the High School Musical sweatshirts…. or the coutless number of Bears jackets that whizzed past me….but I began to think maybe the “dumb it down a bit” crowd was on to something…. 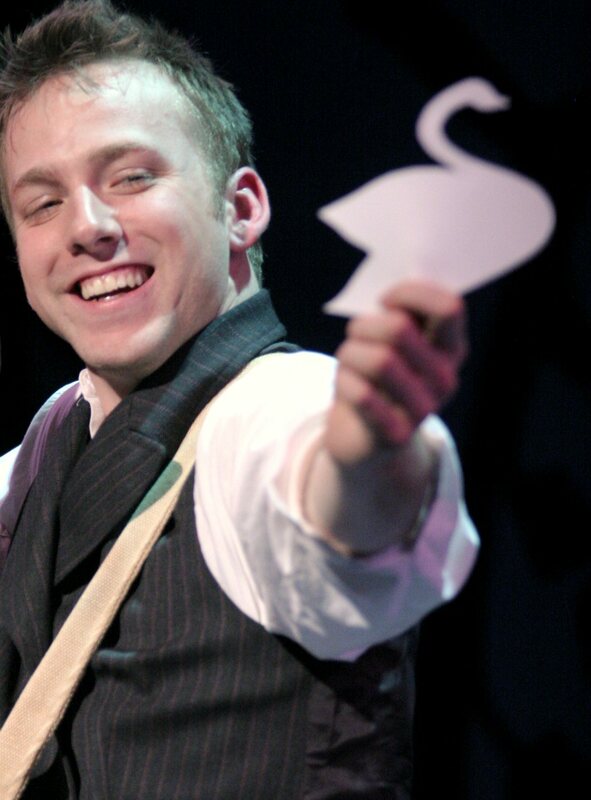 Tim Frank as the teen Hans Christian Andersen in A Fairy Tale Life. kids have always been capable of more than we give them credit for, which is a great thing. many of us just get sucked into a lowest common denominator mentality, based on no child left behind and history. or, we get into a once burned twice shy mentality instead of continuing to push the curves….